Washington [USA], Dec 6 (ANI): Looks like George W. Bush had another sweet treat in store for former first lady Michelle Obama, three months after he offered her a piece of candy at Senator John McCain's funeral in Washington. Washington D.C. [USA], Dec 4 (ANI): The nominations announcement for the 61st Grammy Awards has been postponed for two days in lieu of former United States (US) president George H.W. Bush's memorial service. 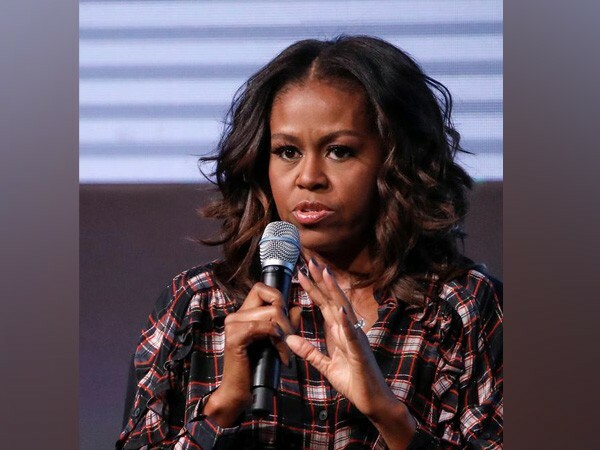 Washington D.C. [USA], Dec 03 (ANI): Seems like, Michelle Obama has a special place in her heart for the Bush family as she cancelled a few dates of her book tour for her autobiography titled 'Becoming', in order to attend former President George H.W. Bush's funeral this week. London [UK], November 14 (ANI): Another woman has come forward to accuse former United States president George H.W. Bush of inappropriately touching her. Seoul [South Korea], October 29 (ANI): Amanda Staples, a former Republican candidate for Maine's state Senate has accused former US president George H.W. Bush of groping her years ago. London [UK], Oct 25 (ANI): Former United States President George H.W. Bush has reportedly apologised after an actress accused him of sexually assaulting her while he was in his wheelchair during an event. Austin (Texas) [U.S.A.], October 22 (ANI): All five living former United States presidents took part in a benefit concert in Texas to raise money for hurricane relief efforts, while the current president, Donald Trump, appeared in a taped video message to the concertgoers. Washington D.C. [United States], Oct 22 (ANI): United States President Donald Trump has appreciated and thanked all five of his living predecessors on Saturday for their work to raise funds to help victims of recent hurricanes.